While the press release below may just be exploring what the song “Horse With No Name” means to different people, the trailer above uses it to promote Darksiders 3. The game launches today on PC, PlayStation 4 Pro, and Xbox One X. Check out Darksiders 3's intro trailer, embedded above, to get a look at the story behind the four horsemen. Additionally, the press release below contains a link to the ongoing pre-order campaign if that floats your boat. 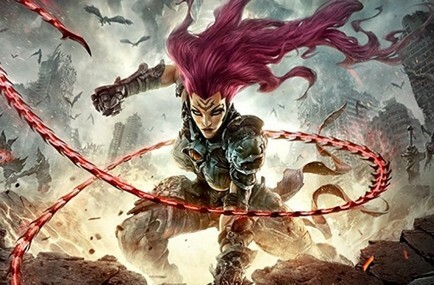 Darksiders 3 launches on 27 November 2018. Give the new trailer, embedded above, a look for a glimpse at Darksiders 3's Fury in one of the various forms she'll take throughout the game. Darksiders 3 is launching for PC, PlayStation 4, and Xbox One on 27 November 2018. Darksiders 3 needs no introduction, we recently posted about the release date announcement and today we've got a new gameplay trailer showing protagonist Fury in action in a location known as the Flame Hollow. Darksiders 3 will be releasing on PC on 27 November 2018, the same day it launches on consoles. Additionally, there will be some rather expensive collectors editions of the game (yes, even for PC!) which include some physical items which you can check out here.